St. Paul's Normanby is a Lutheran Church just outside the village or Neustadt, Ontario. It is a country setting and a great place for special events such as weddings and receptions. "Beautiful and historic, a 150 year-old fieldstone church is the perfect setting for your special day. Consider coming to the picturesque countryside of Normanby Township to St. Paul's Church"
Welcome to the St.Paul's of Normanby Lutheran Church Website! 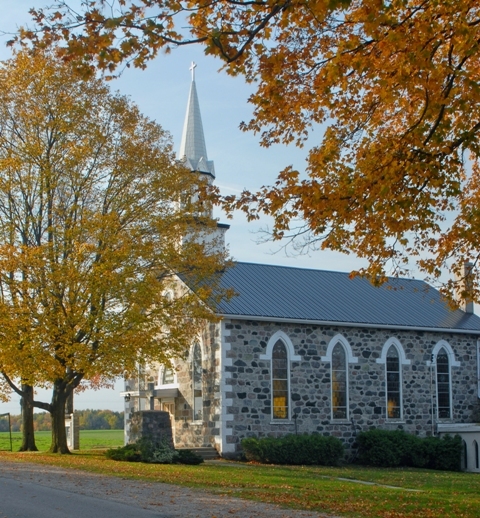 St. Paul's is a combination of history with contemporary in a picturesque country setting just outside the village of Neustadt, Ontario. Whether you're in church every Sunday or just stopping by this website, it's good to be in touch. St. Paul's has many services to offer. Please see our services page to read our full list of service offerings. A link is now available on the left side of the website in the menu section. It will link to the current newsletter and will be updated monthly.